Topiramate (or Topamax) is an anti-convulsant medicine. It helps to lose weight, as it supresses the appetite. You can take topamax either with or without food, both in tablet or capsule form, however it can have a bitter taste with it. Is one of the most effective home remedies that together, with diet and exercise, can be used for weight loss. There is definitely proof that topiramate helps with weight loss, however be sure to check with your doctor before using. Topamax contains an anti-convulsant property that calms the abnormal excitable nerve cells in the brain. This in turn helps you to get relief from binge eating that further avoids weight gain. It also gives relief from many other health problems. It suppresses the appetite and makes you feel full. Topiramate mechanism for weight loss is not completely known. However many people who take this medicine reports that it makes certain foods taste differently, particularly diet colas. With this altered taste sensations, some foods may not seem as appetizing, leading you avoidance and weight loss. There are some specifications that should be followed when using topiramate medicine. People who want a Body Mass Index (BMI) of 30 or BMI greater than 27, there are certain cardiac risk factors like high blood pressure, diabetes, high cholesterol, etc. Just remember that it should be taken as a part of complete weight loss program. It will give best results when taken it as a combination with diet, exercise and behaviour modification. Consult your health care provider before using this as weight loss aid. Those with pre-existing heart diseases, women who are planning to become pregnant (as this leads to increase the risk of birth defects like cleft lip and palate), those who suffers from kidney stones, blood pressure, etc. should not use this medication. Topiramate medicine can be consumed either in tablet or sprinkle capsule (sprinkled on food) form. This can be taken with or without food twice a day. Follow the directions given in the prescription label or ask your doctor or pharmacist to get detailed information about the dosage. Take a teaspoonful of any soft food like applesauce, yogurt, ice-cream, oatmeal, custard or pudding. Twist off the capsule and pour onto the food. Stir and swallow this entire mixture without chewing. Topiramate is not actually used to treat weight loss but the weight loss occurs as a side effect of it. However some doctors will prescribe it for weight loss. Dosage will begin as low as possible at 25 milligrams and can be increased till you reached a sufficient dose. Many people report that after attaining the sufficient dose, the weight loss effect ceases. At this point, your doctor will decide whether or not to increase the dosage. The maximum dosage of this topiramate is 800 mg, usually split into two doses. The dosage will depend on the individual. A topiramate pill is a circular pill that is imprinted with OMN on one side and the mg size is printed on other side. 25 mg is in cream color, 50 mg pill is beige, 100 mg pill is yellow and 200 mg pill is in pink color. Topiramate 25 mg tablet are used to treat epilepsy and control seizures, however it can also help with a weight problem. Preferably you would take one tablet in the morning and one before you would go to bed. Take this 25 mg topamax continuously for as long as your doctor recommended, do not stop taking without the doctor’s advice. Store the tablet in a cool, dry place at room temperature below 25˚C. Topamax 50 mg is used to treat epilepsy, controls seizures and prevents migraines, it will also help with a weight problem. Take this twice a day in the morning and evening and continue this until and unless your doctor says it to stop. Skip the missed dosage if you forget to take a tablet. Keep it in a safe, cool and dry place at room temperature below 25˚C. Use of topamax for weight loss is off-label, but some doctors prescribe this as weight loss medicine. National institute of health advise only to use this if the overweight problem could lead to further health problems. Remember that this medicine is not approved by FDA as weight loss remedy. It can cause many adverse side effects like memory problems, insomnia, anxiety, dizziness, fatigue, tingling sensations, taste distortion, dry mouth, upset stomach, menstrual problems, etc. This drug raises the susceptibility of developing kidney stones so you have to drink plenty of water and other non-calorie fluids to cleanse the kidneys. It causes a burning sensation (paresthesia) around the mouth that gives impaired taste and reduced physical movements. It can cause eye problems like permanent loss of vision, if not treated properly. So tell to your doctor about any eye problems you have before and during treatment. It decreases sweating and makes it more difficult for your body to cool down. It raises suicidal thoughts or actions which include panic attacks, agitation, irritability, anxiety, depression, thinking or talking about suicides, sleep problems etc. Immediately discuss these with your doctor so the necessary steps can be taken to prevent it. Avoid consuming high fat, low – carbohydrate diet which result in excess acid in the blood. It leads to some cognitive problems such as thinking, paying attention, memory, concentration, confusion, dizziness and sleepiness. Avoid alcohol and sedating drugs as topiramate can reduce the effectiveness of certain drugs like birth control pills and other over the counter medications and supplements. Sudden stopping of this medicine will cause serious problems, so talk with your health care provider or doctor before you stop taking this medicine. Do not take this drug if you suffer from any liver problems, mood disorders, osteoporosis or if you’re pregnant, or planning to conceive or breast feeding, etc. Follow these tips to get complete benefit of losing overweight without any health problems. Always take this medication by first consulting your doctor. Always go with the recommended dosage and no more. Try to store your topamax in an air-tight container at room temperature after every usage and keep it away from moisture and light. Use these medications as long as you’re getting benefits from it. Try to note down the list of changes you’re observing while taking this medicine either for weight loss or for migraine or for any other health problems. Avoid taking broken tablets as this may lose their effectiveness. Most of the people take this at night time due to drowsiness associated with it. Small, short-term research says that topiramate helps to promote weight loss in the people who are overweight or obese. Some experts say that it can also cause some life-threatening problems so regular checkups with your doctor will be beneficial. Have you used these topiramate tablets for weight loss? Do you know any other information about this topiramate for weight loss? You can also check out these posts to learn more about other great remedies for weight loss such as acupuncture, Aloe Vera, Bee Pollen, Honey and cinnamon, Coconut oil, Garlic, Lemons, Oolong tea, and Topiramate. Feel free to share your experience with us. 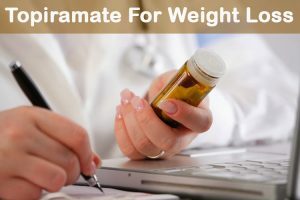 Very informative guide on Topiramate and weight loss. Hope to see such more articles. I think it is better to follow a natural weight loss regime, instead of relying on such risk oriented medications. Thank you so much for such an informative guide. I’ve been taking topiramate for about a year now and have had few side affects. I take 50 mg twice a day for weight loss, which at this point has mostly plateaued. I”m in menopause and although I’m a long distance runner and very active I’ve put on weight over the past few years. My doctor suggested I try Topiramate, and my only complaint is the occasional pins and needles sensation in my hands and arms. I’m used to it now, so I hardly notice it. I have heard of another patient who lost 15 lbs taking this drug, and is now off of it and happily maintaining her weight. Of course proper diet and exercise is ALWAYS the best option….when it works. Which one is it ? Does it cause insomnia, anxiety, etc… Or does it cause drowsiness ? It say it does both. Very confusing information. The side effects may be different for different people. It may cause insomnia or anxiety or drowsiness. I was on 25mg last year & lost weight. I got a bit too thin according to my family & stopped taking it.. I have gained all I lost during this year & started taking 25mg again. My concern is it is not working this time! Please let me know why? It may works. Give it a try and see. Does it generate kidney stone & sleeping disorder???? Yes, kidney stones and sleeping disorder are some of the side effects of Topiramate. Consult your doctor before start taking it. I’m about to start this pill for weight loss…I’ve tried everything..hoping this works!! I am about to take thus for chronic migraines syndrome. Keeping fingers crossed that it will help me drop weight and perhaps ease issues with diabetes type 2. If you’re taking metformin for your diabetes, you might wanna double check before taking topiramate because metformin is under one of the drug interactions. Topiramate causes weight loss. Period. It is considered a side effect of the drug which is intended for neurological issues. You will lose your appetite, along with your desire for much of anything else. It causes a depressed mood, and anger issues in some people. This drug is serious, and in my opinion rarely a good idea even for neurological issues. I lost 20 pounds in 2 weeks using Topiramate for a neuro problem. I was skinny but very, very uncomfortable and irritable. My physician discontinued the med because I was not myself anymore. I was young, but I do know that generally, Topiramate causes anorexia (unintended) in elderly women and is prescribed with great caution. If you want to lose weight, try eating a very low carbohydrate diet and getting in a long walk and plenty of sun daily. There are no side effects. I am currently on Topamax now 50 mg twice a day and have not lost a pound. So weight loss is not a guarantee. We know the will-power fixes. Very difficult for some of us. Oh, forgot to mention. I could not sleep either! So, I was sleepless, foodless, and losing my mind. I cannot say I suggest Topiramate to anyone. Maybe if someone is obese, and cannot stay awake, it would be good to try for a month or two to get a diet started.Not sure. I am a health professional, and stay away from drugs whenever possible, if that tells you anything. Drinking carbonated drinks is not healthy and increases your weight. So, it is better to avoid drinking them for long term. I take Topamax for migraines. weight loss is just a plus side for me 🙂 I have had no serous side effects, I have the tingling sensations but they go away quickly. it does not give me insomnia by any means! I take 25mg in the morning and 25mg in the evening. I do feel like I need an increase though. I feel like I need to take 50mg or (2 pills)in the evening and 25 in the morning has anyone else been through the gradual increases? how did you do it? I went on Topiramate to lose the weight I gained while on Nortriptaline for migraines. I lost 30 lbs in one month. I also lost my short term memory and developed cognitive dysfunction. Had to give up a good paying job. This was years ago. I went on Lyrica for my back and gained 34 lbs. My memory has returned pretty well considering I am now 61 years old. What are the chances that the same side effects will hit me again? I can’t stand being this over weight. I have always been thin. I want to try the Topiramate again and lose this weight. As you have already got side effects from topiramte and suffered for years to get back to normal, we suggest to try safe methods like apple cider vinegar, lemon or honey. You can find various methods in this article – http://homeremediesforlife.com/weight-loss/. Apart from that, you have to eat nutritional food and exercise regularly. Why don’t apple cider vineger and lemon or honey work for me? I want to know would it be alright to combine my 50mg. topiramate with phentermine to get more of an appetite suppression? We are unaware the medicine interactions and their results so we recommend to consult a doctor. My doctor has me on both medications. 25mg topamax twice a day and 30mg adipex once a day for weight loss. Can you share what you experienced with any side effects and your weight loss? My doctor prescribed that combo to me. 37.5 mg of phentermine once a day and 50 mg of topiramate twice a day. I think that is too much. My second day off cause I couldn’t stand my body. I want to go back but I want to do smaller amounts. How long does it take topomax to kick in and lose weight I’ve noticed appetite is starting to feel suppressed but no weight loss yet! Doctor said it could take up to two months is this true? I have been on it 2 weeks! It is difficult to tell the exact time period as everyone’s fat burning capacity is different. For effective results, we recommend exercising and eating a nutritional foods apart from taking topiramate. My doctor highly recommended me topiramate 50 mg for weight loss. He add that it will help in mood stabilizing as well. . He mixed with other 10 medicines as I have diabetes cholesterol high b.p. uric acid problems as well. . I am in first week I started using this medicine and it is having severe effects on me. .
All the problems you are experiencing are actually side effects of taking topiramate. We recommend consulting your doctor and discuss with him about them. I’m taking Topirimate 75 mg twice a day for headache management (started at 25mg and have slowly worked up to 75) and am excited to hear that it’s also known for helping with weight loss as that is a goal I am working towards with a low carb diet! Carbonated drinks taste TERRIBLE now, which is just perfect since they are a huge no-no with my diet. I have noticed tingling in my face and have noticed some insomnia as I wake up a lot at night, my mood doesn’t seem to be affected much though. The tingling in the face does get annoying at times, but I let it go as I know its nothing serious :). I’m happy because my headaches are going away and that alone makes my life 100 x better!!! SOOO happy this medication is out there! I will say that I started this medication about a year ago and noticed weight loss but I stopped taking it on my own just because I hated taking medicine every day but I recently got back on it after my headaches and migraines came back with vengeance! Can’t wait to get my health back! There is no average weight loss and any one can try it. I’m about 50 lbs overweight and somewhat mobility restricted. I’m not losing weight on a diet so my doctor prescribed topomax. I have not started taking it yet until I read if it’s possible to lose 20-50 lbs. The side effects worry me. Yes, you can lose. If you are worried about the side effects consult your doctor. For proper dosage and timings, it is better to consult your physician. I started taking 100 mg of topamax in late January for migraine prevention. I immediately had decreased appetite, then total appetite suppression. I felt full after a few bites and lost interest in food. I lost 20 pounds in a couple of months, and have now lost 50 pounds (from 189 to 139) over six months. My friends are astonished! I sustained myself with meal replacement shakes and V-8 juice, and now my appetite has returned somewhat, but I am still losing weight with no effort. I’m so glad that I lucked into this wonderful side effect! What is the difference between the generic Topiramate and the Topamax? It’s very hard for me to distinguish all specific side effects from this medication. I am taking others for bipolar II and ADHD. I started this for cluster headaches. I’m fortunate that I’ve been able to loose weight with it since antidepressants cause weight gain. I never had much of an appetite— I have to force myself to eat in the morning and afternoon— slimfast for breakfast, matcha fruit smoothie for lunch, granola bars, fruits and veggies for snacks, and then a small dinner. Therefore, the reason for the weight loss side effect has to be more than just reducing your appetite. I’ve been lucky to have experienced this and reduced headaches. Be sure to drink a lot of water. Download an app if you need to.